The future is looking bright for air freight. There was a positive outlook for profitability in 2018, which was supported by “robust demand growth on both the passenger and freight sides of the business” said IATA. Estimates from McKinsey and Company suggest that volumes send by air freight will increase by around 3% every year for the next decade – all things going well. However, there are two areas of change which could impact the industry and its potential profitability. These are regulation and technology. These either have the ability to throw multiple wrenches in the works for air freight or improve efficiency and cost effectiveness to the point where it becomes the method of choice for sending goods across the globe. Shipping technology covers a broad spectrum of innovation – from digitization to automation. The internet has also had a huge impact on freight forwarding and will continue to do so. Traditional freight forwarders who are not on board with the latest technology could find themselves overtaken by more tech-savvy forwarding companies who are digitizing as much of their chains as possible. As technology develops, so must regulation in order to keep up with new innovations and new challenges. Technology is transforming freight forwarding in multiple ways; from robotics and automated systems to augmented reality, drones, and the use of big data and artificial intelligence. All of these, if used correctly and cohesively, have the potential to make air freight forwarding cheaper, safer, and easier. While technology is generally seen as a good thing, it also has the potential to be highly disruptive – especially to air freight forwarders who run their systems traditionally. Technology will change the whole way that the industry is run, and if companies do not adapt, they may well be left out in the cold. Driverless cars and the rapid progress of drone technology have opened up new possibilities for air freight forwarding. One of the most exciting innovations in this industry is the work being completed by Boeing to develop autonomous air travel. By early 2018, Boeing had completed early stage flight tests of unmanned cargo aerial vehicles (CAV) with the intention that this could be used as a spring board for a future of autonomous flight. This research coupled with Amazon’s plans for drone deliveries are an interesting development in the possible future of air freight forwarding. Whilst this is a relatively new idea, the digitization of freight forwarding – on land and sea as well as in the air – is not a new phenomenon. Like a lot of industries, air freight forwarding is starting to reduce the use of paper and printed materials. The IATA’s goal is a paperless process and “smart data sharing”. The arrival of apps and software for freight forwarders, that allows everything from invoicing to freight tracking to be done digitally, means that a paperless future is a possibility. Paperless air freight forwarding has multiple benefits. It’s greener, for a start. Physical paperwork is also more arduous, whilst user friendly apps and software save shippers time and energy, giving them quick answers and intuitive processes to follow. It also means that all of the information needed is at their fingertips wherever they are. A digital approach also makes freight forwarders more attractive to clients. It provides a cost effective, efficient, and environmentally friendlier way to ship, as well as giving customers the peace of mind that there is much less room for human error. It’s clear that in order to compete, freight forwarding companies need to go digital. However, there are no clear guidelines for how to do this, and how to roll it out to customers. While some Freight Forwarding solutions have been using digital methods like e-awb for years, online registration is currently only offered by around 60% of forwarders, online quotes are rarely given, and the ability to manage shipments online is also still in need of development for a lot of forwarders. These sticking points mean that traditional freight forwarders are facing tough competition from newer, more digital savvy start-ups. With the development of multi-enterprise digital business networks, companies have a fast route to digitization. Freight forwarders, shippers and carriers can join a network, share visibility and manage shipments as they progress through the entire supply chain. 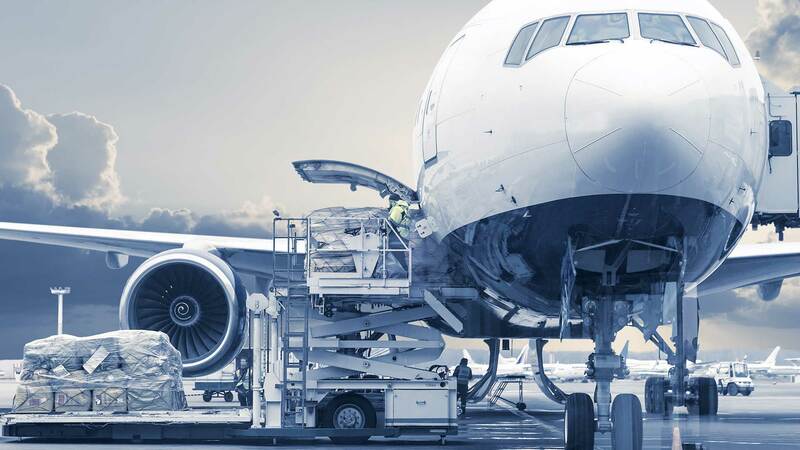 Digital is vital to the industry, but it requires a shift in thinking and in business model to keep air freight forwarders competitive and to give customers what they want. As the nature of air freight forwarding changes, the regulation surrounding it will need to adapt, too. Forwarders (and clients) will expect greater speed, simplicity, ease, traceability, and transparency. The IATA sees regulation surrounding the industry increasing, and hopes that this regulation will be “smart, balanced, and data driven”. One thing that hasn’t changed is the prioritization of safety. How things are made safe has changed, however. As new technologies develop, and more and more items are sent by air freight, safety becomes even more paramount. New innovations must be considered – for example, how do we keep the general public safe if freight forwarding is automated, or items are sent by drone? Safety is the top priority for the 2018 IATA Cargo Strategy and will continue to be. Regulation must be “developed and maintained to ensure aircraft, passengers, and crew are safe”. A consequence of increased safety regulation is increased costs for forwarders. In 2012, Lufthansa reported that mounting regulation reduced their ability to “operate efficiently”, stating that “security is a double-edged sword” and that security costs had increased tenfold since 2001. The IATA also identifies regulations around facilitating trade as important to the future of air freight. Their stance is that there need to be smart regulations to support increased trade – alongside safety and compliance. Ultimately, as digitization makes freight forwarding quicker and more efficient, there is an even greater need for the industry to collaborate with the state regulators to ensure that regulation moves with the times and does not slow down transit time. Regulation and technology both put their own unique pressures onto freight forwarders and mean that strategic choices need to be made more carefully in order to succeed. Digital must be embraced, regulation must be adhered to and collaboration must occur to ensure that this regulation does not drag businesses down. Without this, the bright future that air freight forwarding currently has, could diminish. Bart Jan’ has over 25 years of experience in the Air Cargo industry, of which 14+ years are within Information Technology, and with 13+ year hands on experience working for Korean Air Cargo and Panalpina. Bart Jan is passionate about solving the logistical issues of Freight Forwarding, and currently works as a sales and account manager with Logitude.